Better Boy Tomatoes are great performers and are indeterminate. Plus, if you want a record producing plant then check out Better Boy. It holds a record in the Guinness Book for producing 342 pounds from one plant! These tomatoes are plump and juicy with plenty of meat wrapped up in a scarlet red globe that grows to about 10 ounces or more. Outstanding Features: Resistant to Verticillium Wilt, Fusarium Wilt Race 1, Gray Leaf Spot, Crown Wilt (Alternaria) and Root Knot Nematodes. 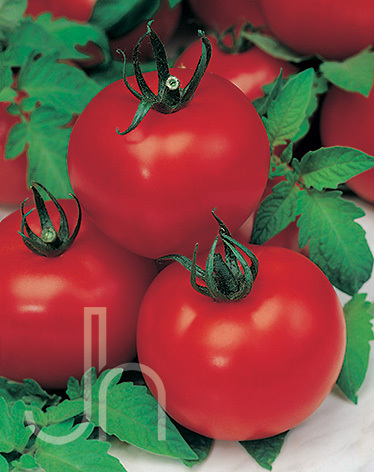 Click here to buy Better Boy Tomatoes direct from www.buygardenvegetables.com.